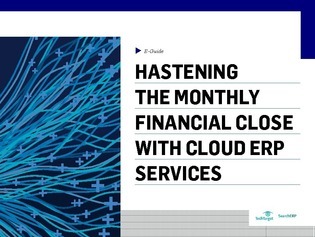 Monthly financial close: How can cloud ERP speed things up? According to research firm APQC, the top companies take 6 fewer days to complete the monthly financial close process than bottom companies, and at a quarter of the cost. Which group does your company belong to? In this expert e-guide, evaluate how businesses switched to cloud-based ERP providers to speed up the monthly financial close process by as much as 5 days.